To celebrate the opening of its new London store in New Bond Street, Fendi asked ten women to customize the famous iconic bag “Peekaboo.” It was an outstanding evening as Karl Lagerfeld stayed for dinner as well as Kara Delevingne and many other celebrities of the London society. 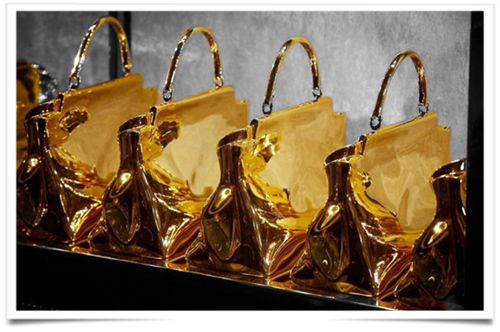 Karl Lagerfeld, always equal to itself, said about these ten designs: “for a woman a bag is a vital accessory and each bag is different as the contents of each bag is different. Karl Lagerfeld’s vision, indoor / outdoor, reminds us that it is as beautiful inside as outside. Isn’t it? This entry was posted in BREAKING MODE, BREAKING NEWS and tagged fashionoutsider.net, fENDI, modeaparis, MODEPARIS by admin. Bookmark the permalink.